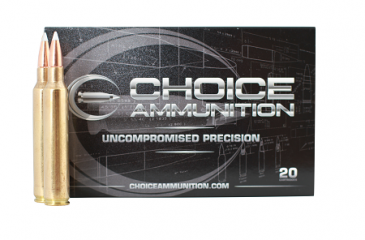 .300 Remington Ultra Mag (RUM) 150 Grain Nosler AccuBond- The .300 Remington Ultra Magnum is one of the largest commercially available .30 caliber magnums currently being produced. It is a beltless, rebated rim cartridge, capable of handling all large North American game, as well as long-range shooting. 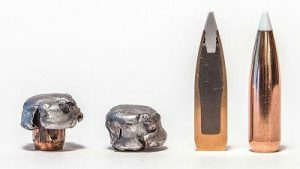 Among commercially produced .30-caliber rifle chamberings, the .300 Remington Ultra Magnum is second only to the .30-378 Weatherby Magnum in cartridge-case capacity. The .300 Remington Ultra Magnum is a member of the Remington Ultra Magnum cartridge family based on the .404 Jeffery via the Canadian Magnum cartridges. As these cartridges feature wider bodies than the belted magnums based on the .375 H&H case, these cartridges have greater case capacities than their corresponding full length belted Magnum cartridges such as the 7 mm Shooting Times Westerner, the .300 Weatherby Magnum, .340 Weatherby Magnum and the .375 Ackley Improved. The .300 RUM is an excellent long range cartridge with the ability to deliver a useful level of energy downrange especially with the power level III ammunition. Due to its high velocity it exhibits less bullet drop than most other .30 caliber (7.62 mm) cartridges. Compared to other production .30 caliber (7.62 mm) cartridges, only the .30-378 Weatherby Magnum surpasses the .300 Remington Ultra Magnum. 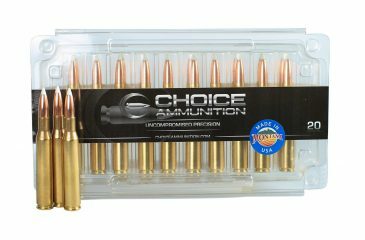 Choice Ammunition has taken our 100% hand-loading techniques and produce an extremely accurate, highly dependable round for the .300 Remington Ultra Mag in this load. Our loading tolerances are only matched by passionate hand-loaders in their own loading rooms. Consistent seating depths, powder charges and proprietary formulas of Choice Ammunition, make this 150 grain Nosler AccuBond round the best you can buy on the commercial market today. .300 Remington Ultra Mag (RUM) 150 Grain Swift Scirocco- The .300 Remington Ultra Magnum is one of the largest commercially available .30 caliber magnums currently being produced. It is a beltless, rebated rim cartridge, capable of handling all large North American game, as well as long-range shooting. Among commercially produced .30-caliber rifle chamberings, the .300 Remington Ultra Magnum is second only to the .30-378 Weatherby Magnum in cartridge-case capacity. 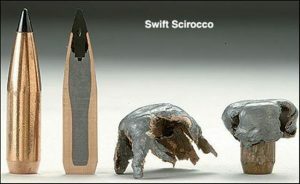 Our 100% Hand-Loaded 150 grain Swift Scirocco rounds are loaded with extremely tight tolerances, producing highly accurate, consistent and reliable performance with each and every shot! Our proprietary load formulas and loading process create the finest round of ammunition available on the commercial market today we feel. If you don’t load your own ammunition- let us do it for you! 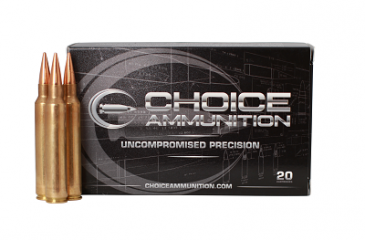 Choice Ammunition has taken our 100% hand-loading techniques and produce an extremely accurate, highly dependable round for the .300 Remington Ultra Mag in this load. Our loading tolerances are only matched by passionate hand-loaders in their own loading rooms. 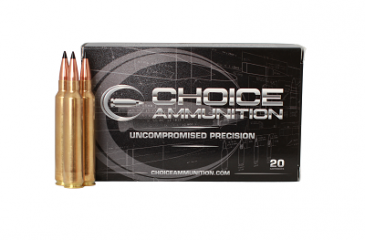 Consistent seating depths, powder charges and proprietary formulas of Choice Ammunition, make this 200 grain Nosler AccuBond round the best you can buy on the commercial market today. .300 Remington Ultra Mag (RUM) 210 Berger VLD-Hunting- The .300 Remington Ultra Magnum is one of the largest commercially available .30 caliber magnums currently being produced. It is a beltless, rebated rim cartridge, capable of handling all large North American game, as well as long-range shooting. 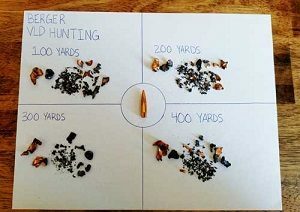 Among commercially produced .30-caliber rifle chamberings, the .300 Remington Ultra Magnum is second only to the .30-378 Weatherby Magnum in cartridge-case capacity. Our 100% Hand-Loaded 168 grain VLD-H rounds are loaded with extremely tight tolerances, producing highly accurate, consistent and reliable performance with each and every shot! Our proprietary load formulas and loading process create the finest round of ammunition available on the commercial market today we feel. If you don’t load your own ammunition- let us do it for you!